Sour Metal, a brand promoting vintage Sri Lankan jewellery, with an aim to rekindle an appreciation for the eccentricities and beauty of ancient Ceylon, was launched in Colombo recently. The designer and founder of Sour Metal, Saeeda Deen, is a graduate of AOD. Her brand essentially repurposes traditional Sri Lankan jewellery to sentiments of nostalgia to suit the modern age. Following her successful debut collection at the AOD Graduate Jewellery Design Showcase in December, it has already opened up many new avenues to show her talent at local and international platforms. Deen was contracted to be the main accessory stylist for AOD graduate and international fashion star Amesh Wijesekera, who is showcasing at Berlin Fashion Week from 15 to 18 January. She will also partner him at the London Fashion Week next month. In addition, she partnered him at the recently concluded Mercedes Benz Fashion Week Sri Lanka 2018. Her designs spell out the rich multi-cultures of Sri Lanka, and the stories behind those repurposed and curated Sri Lankan vintage jewelleries. “I want to preserve the country’s diverse heritage and culture, while promoting unity between different groups of all cultures. I value culture, history, authenticity, sustainability, people, stories, and emotions. My brand, ‘Sour Metal’ aims to educate people about these subjects in a creative and interesting manner,” she told Daily FT on the sidelines of the launch. 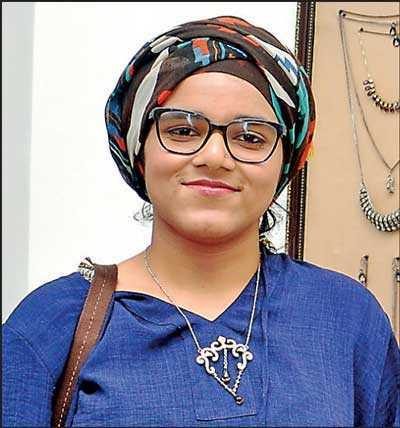 Deen said through her brand ‘Sour Metal’ she hopes to revive the Sri Lankan heritage jewellery industry for the modern woman by repurposing vintage jewellery, as well as the creativity and the craftsmanship involved in traditional jewellery manufacture. As with fashion, there are trends for jewelleries as well, but she said for a niche product like hers on vintage jewellery, it was difficult to keep track of it, and her main focus is to make Sri Lankan traditional jewellery a more global trend. “Sour Metal’s vision extends beyond the jewellery industry by exposing the rich heritage and stories of the multi-cultural country in a contemporary context,” she added. She pointed out that there is a huge demand for vintage jewellery and the market was diverse. “There is an increasing enthusiasm from the young generation for traditional jewellery, which is trending heavily in the generation Y and Z. Of course there are few older people who understands the value of a piece which was initially used for generations and have an appreciation for it likes niche products of this nature. However, the fact is that these traditional jewels are nostalgic for the adults so they like to have them, while younger generations want to use them,” Deen outlined. Deen’s talent was also recognised at an industry level when she won Creative Marketing Award and Best Portfolio Award at Sri Lanka Design Festival in 2018. 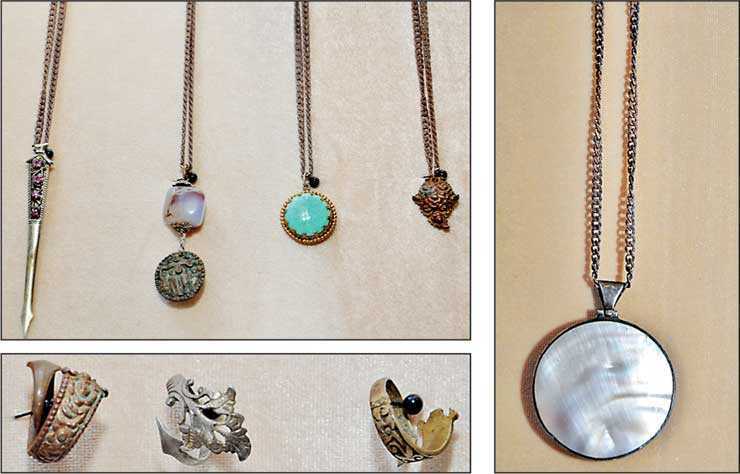 Sour Metal vintage Sri Lankan jewellery is now available at Urban Island Colombo.